AWS Certification has tripled its testing locations and is bringing the benefits of this recognized credential to more AWS customers and APN Partners globally. We are excited to announce that Pearson VUE will deliver AWS Certification exams through its extensive network of more than 5,000 testing centers in 180 countries worldwide. Now, you have even more choices and flexibility to distinguish your expertise with Amazon Web Services (AWS). 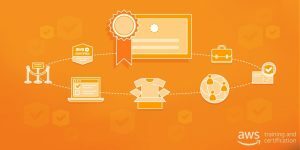 AWS Certification can help members of the AWS Partner Network (APN) build their team’s competence and confidence, while adding credibility so you can better support AWS customers. According to MTM, a subsidiary of Gartner, after investing in AWS Training and Certification, APN Partners reported a 40 percent increase in new customers; 39 percent increase in customer retention; and 39 percent increase in customer migrations to AWS. For members of the AWS Partner Network (APN), this increased flexibility makes it easier for your organization to achieve APN Certification Distinctions that grow as your teams earn more and more AWS Certifications. Customers across the world are looking for certified partners, and MTM research also shows that 60 percent of APN Partners say their customers ask if they are AWS Certified. For APN Partners, this increased flexibility makes it easier for your organization to achieve APN Certification Distinctions that grow as your teams earn more and more AWS Certifications. Earn special recognition when your team earns 50, 100, 200, 300, 400, and 500 AWS Certifications. “AWS Certifications provide us with an objective standard of job readiness, so that our teams can assemble the best talent for our client’s AWS projects,” says Jeff Hammond, Global Enablement Lead for the Accenture AWS Business Group. Accenture is an APN Premier Partner and Managed Services Provider (MSP) with thousands of AWS Certified individuals on their team. It’s never been more convenient to reap the benefits as AWS Training and Certification continues to improve our certification program. Earlier this year, the recertification period was extended from two (2) years to three (3). Prerequisites requirements were removed as well, giving you the option to attempt any exam at any time, regardless of level or type. A new benefit we introduced gives AWS Certified individuals a 50 percent discount voucher that they can apply to their recertification or a new exam. These updates reduce the time and expense for you to pursue and maintain the certification exam you feel is most appropriately matched to your skills, professional experience, and interests. There are no changes to the cost of the exams, process to register on aws.training, and languages offered. AWS Training and Certification has also broadened its specialty portfolio with the recent announcement of the AWS Certified Machine Learning – Specialty certification. This new certification was created by AWS experts for developers and data scientists who want to validate their ability to evaluate and design the appropriate machine learning (ML) approach for a given business problem. It also helps you to identify appropriate AWS services to implement ML solutions, and design and implement scalable, cost-optimized, reliable, and secure ML solutions. 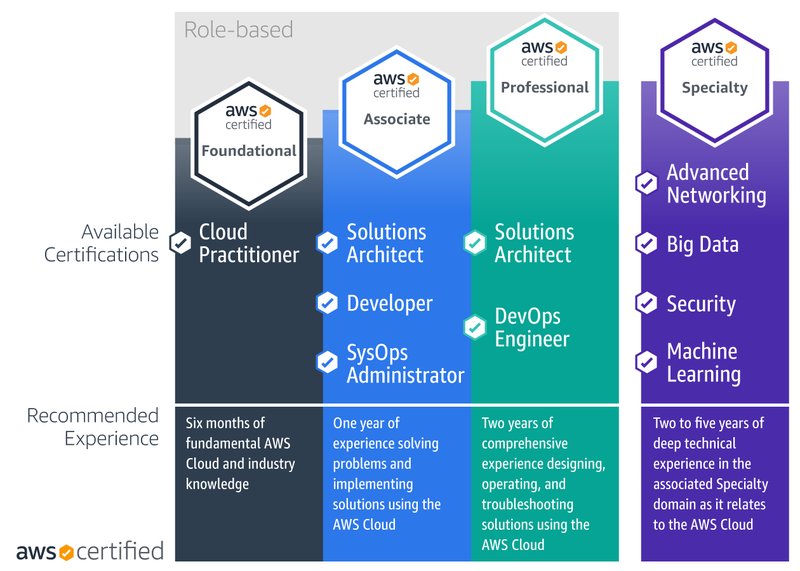 AWS Certifications help candidates build credibility and confidence with the AWS Cloud by validating their cloud expertise with an industry-recognized credential. We offer role-based certifications to validate expertise for those in Cloud Practitioner, Architect, Developer, and Operations roles, plus Specialty certifications to validate advanced skills in specific technical areas.